While this is a somewhat older book (for Internet reviews), the content is fairly stable. It was a gift from Kregel Academic back in January. I’m running behind on book reviews. Before you dig into Robert F. Lay’s Readings in Historical Theology, it’s worth understanding what “Historical Theology” is. 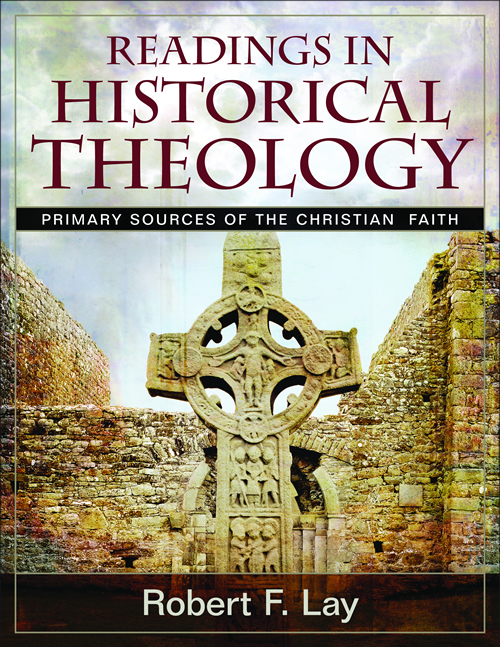 Historical Theology is the study (basically) of what the church has believed about certain things during various times. For example, tracing the understanding of what has been believed about the return of Christ in different eras is a function of “Historical Theology.” This is compared to “Biblical Theology” which examines what specific sections of Biblical texts (individual books, Old Testament, New Testament, Paul, John) teach about an issue or “Systematic Theology” which takes the whole of Scripture and sees what it teaches about specific subjects. Usually, one uses the categories from Systematic Theology to organize the other disciplines, but also uses the Bible to define the categories and consults the wisdom of those who have gone before to formulate an understanding. In other words, these are interdependent concepts. Now, if you’re still awake, you’re going to be interested in this book. Why? Historical theology is heavily concerned with others have said about what the Bible says. The best way to study this is from the primary sources, from the documents and writings of history themselves. But which ones? And is it possible to get the critical materials all in one place? That is the purpose of Lay’s work here. He has provided English translations of important documents from the first century through the nineteenth, with a brief intro to each item, giving its dates and origin. Certainly, one could quibble about some items that were left out but there must be a limit somewhere. From reading here, one can see what Arminius and Calvin actually taught rather than reading what other people say that they taught. A further benefit here is the CD that contains more material. I know that some of us are working with computers that don’t have media drives anymore, but it’s worth borrowing one to upload to your computer. There are extended versions of the documents as well as some that are not included in the print edition. As a student of Christian History, I cannot recommend this book enough. We need to understand our roots as Christians and reading what has been said in the past is a crucial part of that. At my request, Kregel Academic sent me this book in exchange for the review.